Raja Shippen has returned to Tiger Muay Thai as he looks to finalize his training camp for a Feb. 18th bout against Hawaiian MMA Icon Harris ‘The Hitman’ Sarmiento in Manila. The PXC largely regarded as one of the top fight promotions in Asia, has flown Raja Shippen from his home gym of Reign MMA in Orange County California to compete as part of their Main Event. 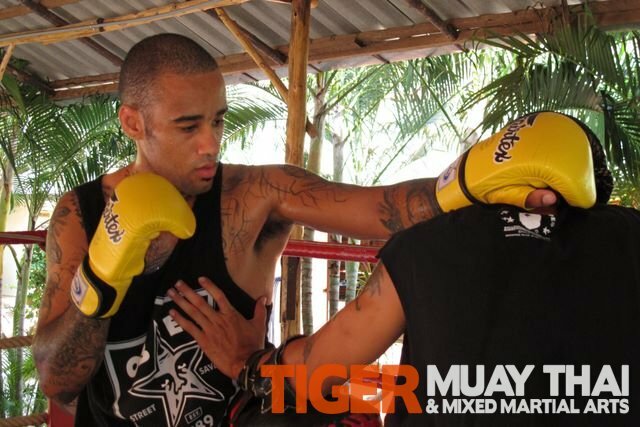 After picking up an impressive Muay Thai win for Tiger Muay Thai during his first training trip in Phuket Thailand, Raja Shippen has decided to utilize Bellator Lightweight Tournament fighter JJ Ambrose and Brazilian Jiu Jitsu Black Belt, professor Ray Elbe as he prepares to face Sarmiento, a veteran of over 50 professional fights. Currently 3-7 as a professional in Muay Thai, Shippen will look to utilize his striking as he prepares to put on a fight of the night performance against his hard hitting Hawaiian opponent. As the first fight in a 3 fight deal with the PXC look for Raja Shippen to return to Tiger Muay Thai once his next PXC bout is announced.